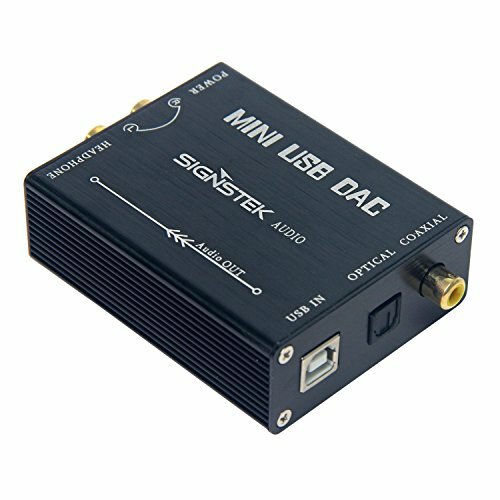 This device can be used to connect to your computer via USB cable and configures as an audio output device, with the purpose of creating a high quality S/PDIF digital audio output signal that can connect to your existing DAC. Comes with a headphone output for private audio listening. Powered by USB cable, so there is no need to install on wall or batteries to worry about. Uses it standard or build right into your DAC.Operation and setup is plug-and-plug, no drivers to install. Use of safe and reliable USB B type port, to send high-quality USB cable, without power, plug and play. The surface of the expensive laser engraving fonts, never fade. Enable you to output to the amplifier, an integrated sound card as a computer upgrade products, can be connected to the decoder, will be sent back to the best level of sound quality. Provides the easiest way to convert your PC into a hi-end music server. Join the hundreds who have already upgraded. Once you get used to playing CDs from your computer, you'll never want to go back to a traditional transport. The fever world acclaimed PCM2704 USB chip. The USB type B, safe and reliable, high quality USB cable, without power supply, plug and play. Digital output signal after fever isolation transformer DV709 filtering, the sound quality more perfect.